CCI Small Game Hunting/Target Rimfire Ammo. 17 HMR, 20 GR, Full Metal Jacket. Box price, 50 Rounds/Box. 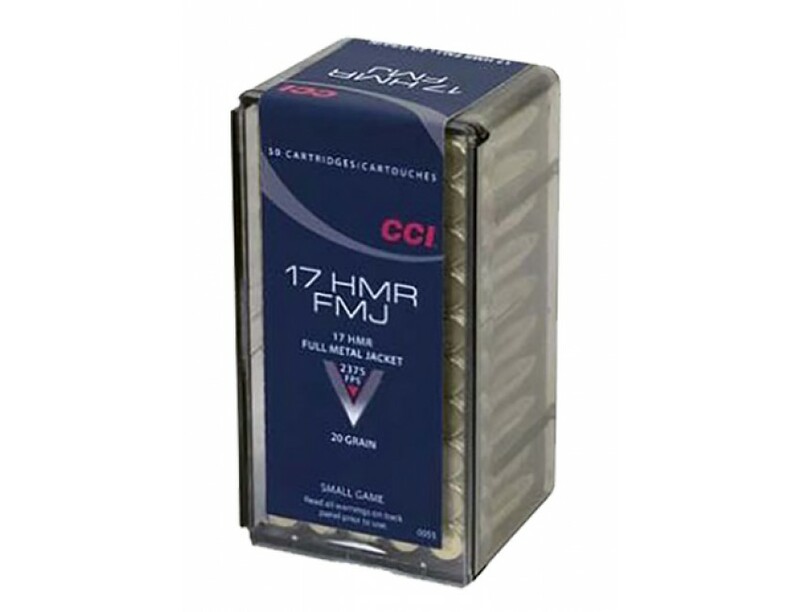 CCI understands the needs of hunters and has designed ammunition with the small game hunter in mind. Each bullet keeps meat spoilage or hide damage to a minimum.